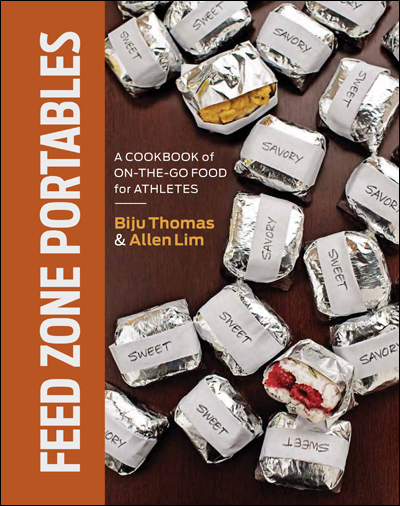 Readers of The Feed Zone Cookbook know how Allen Lim got his start in sports nutrition. In short, Lim graduated with a doctorate in physiology and left the lab to work with pro cyclists. What he found was shocking: professional cyclists riding Grand Tours and eating breakfast cereal for dinner. They knew little about sports nutrition and nothing about cooking. Soon after, Lim realized the “gut rot” plaguing so many members of his team during workouts and racing seemed tied to their artificial hydration mixes. His research showed that most drink mixes are mixed wrong, overemphasizing sugars that can cause GI distress. So he began separating nutrition and hydration, developing recipes and drinks that let riders chew their calories and drink their water. He emphasized real foods for his portable recipes and developed a drink mix made from actual recognizable ingredients. The result? Happy, healthy riders who won more often. This philosophy worked so well for Team Garmin and RadioShack that Lim and chef Biju Thomas wrote The Feed Zone Cookbook and started a drink mix company. 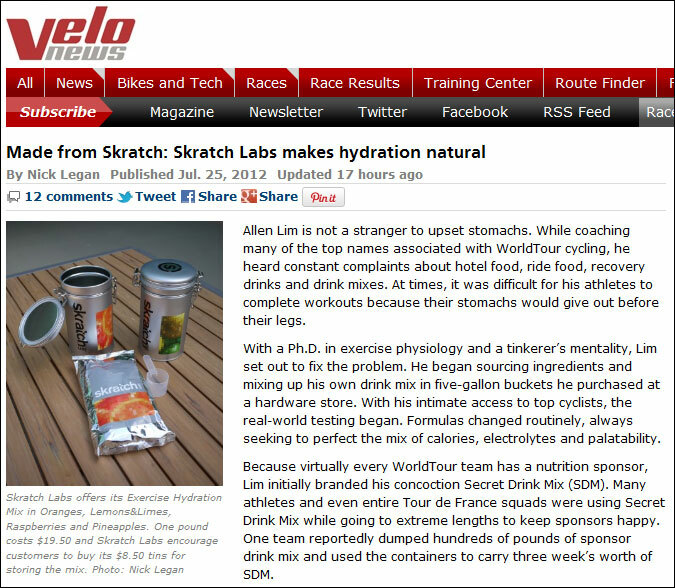 He developed his wildly popular “Secret Drink Mix,” further tweaking that formula into the hydration line available from Skratch Labs. In this new article from VeloNews.com, Tech Editor Nick Legan talks with Allen about what puts the “made from scratch” in Skratch Labs.